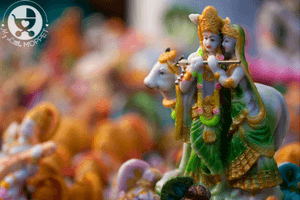 As Republic Day approaches, we see more and more of saffron, white and green everywhere we look. Ask any kid about the Indian flag and he’s sure to mention the tricolor. 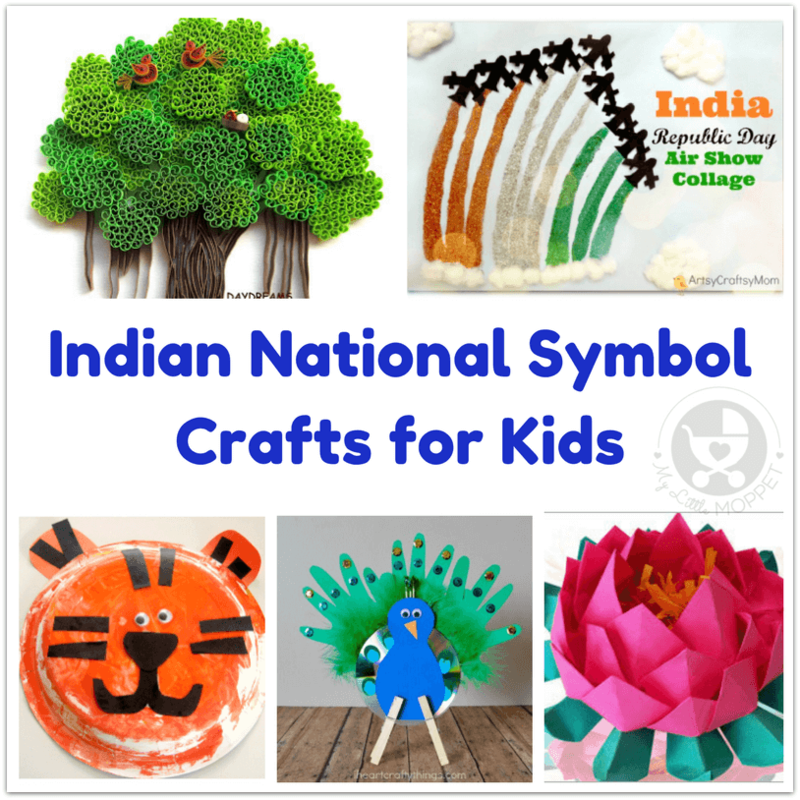 But do all our kids know about other national symbols? 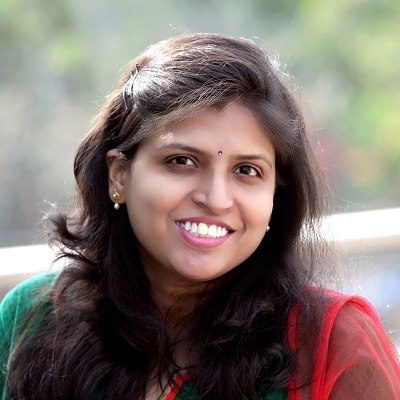 For instance, what is Indian’s national aquatic animal? 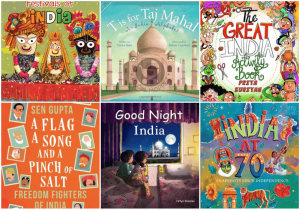 This Republic Day is a great opportunity to help our kids learn a little more about their country and it’s national symbols. 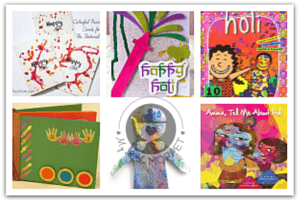 Since there’s a week to Republic Day, we’ve got 7 Indian National Symbol Crafts lined up for you – one for each day! India’s national flag was adopted in July 1947, and is popularly known as the Tricolor or Tiranga in Hindi. It has three bands of saffron, white and green, along with a blue Ashoka Chakra in the middle of the white band. One of the most beautiful representations of the tricolor is during the Republic Day Air Show, when planes fly through the sky leaving behind colored smoke to coincide with the tricolor. 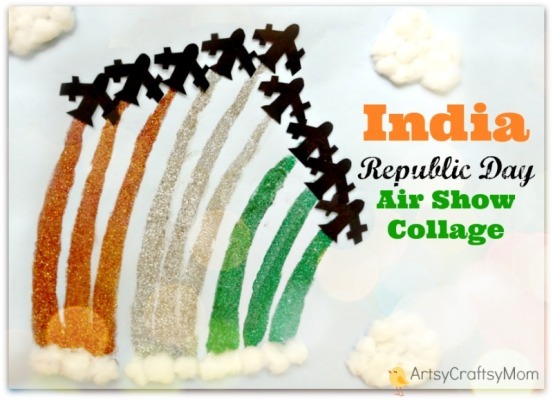 This Republic Day Air Show Collage from Artsy Craftsy Mom is perfect for this special day, and is easy enough for young kids to make.  Warning – put lots of newspaper down first to contain the glitter! India’s national animal is a magnificent animal, and one that we’re proud to have! Unfortunately, rampant hunting and encroachment by humans have led to a severe decrease in their number, although recent efforts to reverse the trend have shown promise. 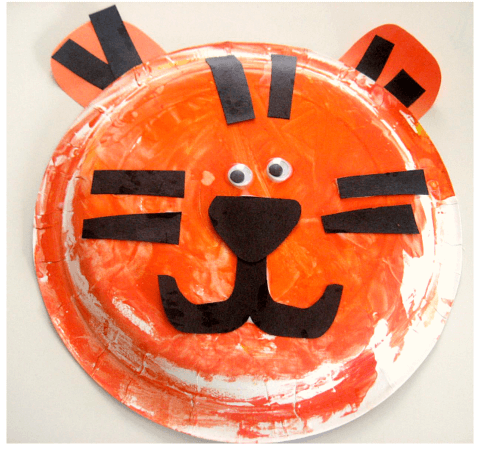 Talk to your kids about saving the tiger with the help of a fun craft like this Paper Plate Tiger from No Time for Flash Cards. 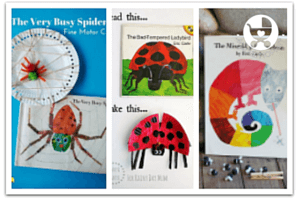 All you need are basic craft supplies and lots of orange paint! The gorgeous peacock is a true representation of India’s rich culture and colorful heritage. The peacock appears in both Hindu and Greek mythology, giving it a divine air to match it’s lovely plumage. Peacock feathers are also very common in India and have many applications. 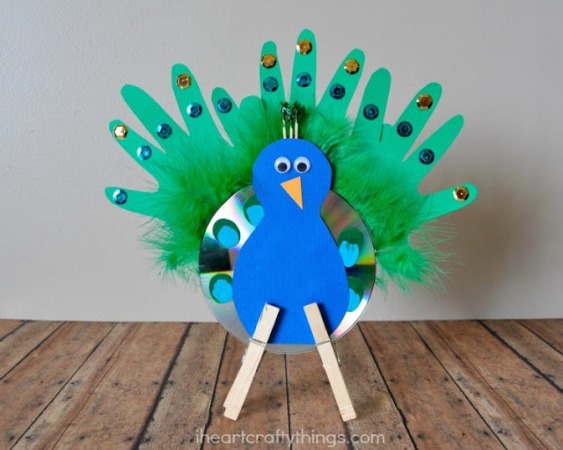 I Heart Crafty Things has a pretty and simple recycled CD peacock craft, that’s easy enough for preschoolers to make on their own. Ganga is not just the most well known Indian river, it’s also the longest! With a lot of significance in Hindu mythology, the number of visitors to this river only increases every year, making it the world’s most populated river basin. 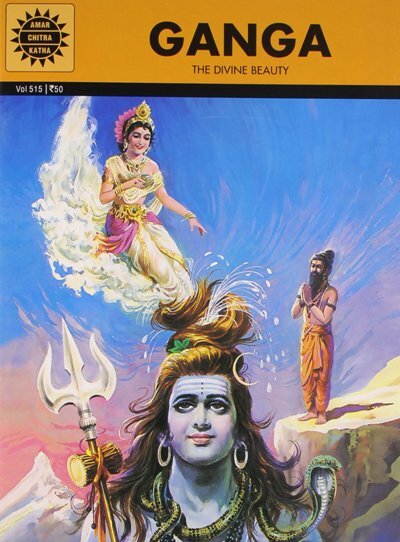 The Amar Chitra Kadha book about Ganga describes the story of how Goddess Ganga reached earth and made it her home. 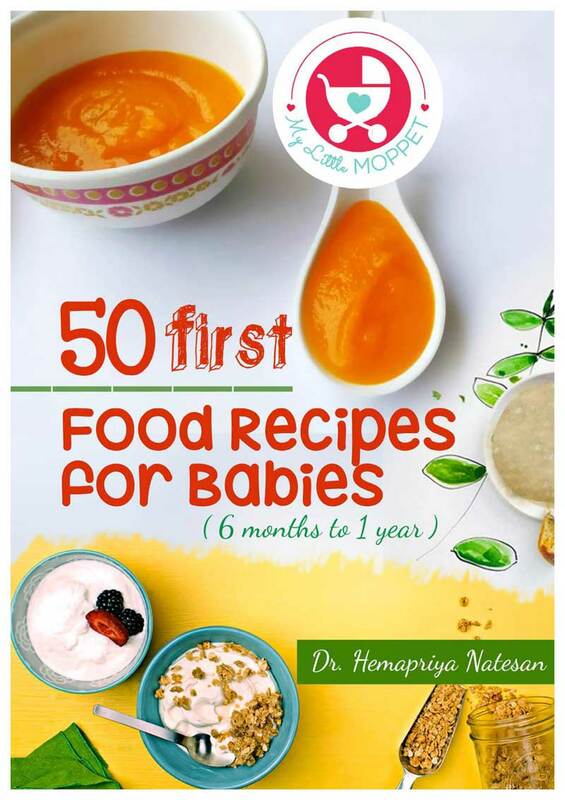 With child-friendly text and illustrations, this book is great for kids to learn more about India’s national river. Probably no other tree has as much legend and myths associated with it than the Indian Banyan. With it’s huge canopy, it is said to offer shelter to as many as 7000 men! The banyan can live for several years, resulting in having an immortal image. 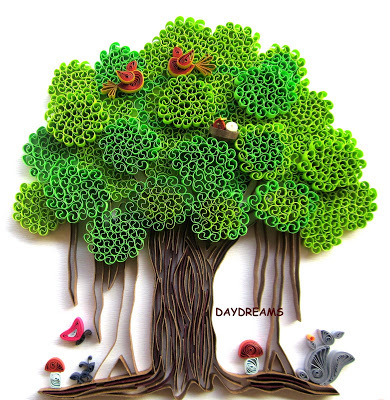 The splendour of this tree is beautifully captured in a quilled Banyan craft by Daydreams. 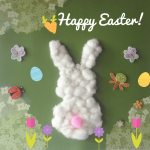 Even if you’re a quilling beginner, this is a great project to try. You can at least try the basic tree and add the details later. Did you know that lotus is the national flower of not just India, but Vietnam too? Of course this flower is beautiful, but another reason it’s so special is because of it’s ability to stay that way even while growing in muddy water. 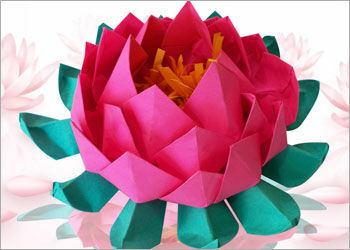 Instructables features a lovely Origami lotus craft that’s easy enough with all the detailed instructions. Try making multiples in pink and white and place them on a blue chart for a truly gorgeous centerpiece! The yummy mango is a popular fruit among many countries – it is the national fruit of India, Pakistan and the Philippines, while also being the national tree of Bangladesh. It’s no wonder the mango is so much in demand – it’s such a juicy fruit! Did you know the word ‘mango’ is derived from the Malayalam word for mango – ‘manga’? 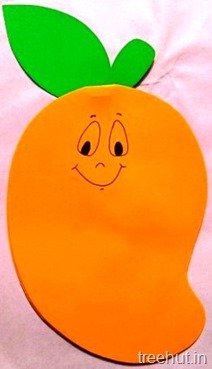 Let the kids have some mango fun by making a mango shaped notepad, as shown in Tree Hut. 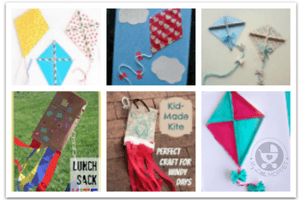 Kids always learn better by doing, and crafts is a great way to learn and have fun in the process! Read up on some trivia for each symbol before you begin, so you can offer little tidbits of information as you craft your way away. 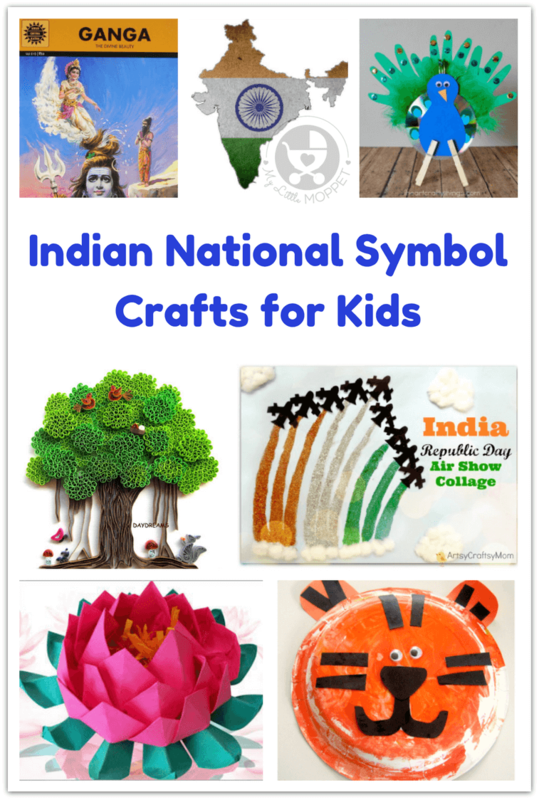 With a week left for Republic Day, you’re right on time to start making these Indian National Symbol Crafts!